Achieving your university’s strategic plan to drive admissions and retention while staying focused on financial models, research, and evolving technology is a massive challenge. As higher education’s largest managed technology service provider, Apogee services help universities realize their strategic initiatives through wired and wireless (Wi-Fi) Networks, Video services, and our cutting-edge Engage platform. Over the last 10 years, Student Services by Blackboard has developed capabilities to help institutions make measurable and sustainable impacts on the student experience. The solutions we deploy help our clients grow enrollment, improve retention and provide support institution support, including a comprehensive One Stop and IT Help Desk offering. Simple products that install quickly, just work, and save IT admins time. PDQ Deploy and PDQ Inventory have quickly spread across the globe. Over 200,000 organizations have used the free versions, and over 14,000 of those have moved to our pro or enterprise levels. Learn more. 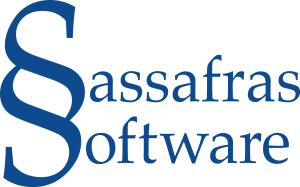 Sassafras Software has a long tradition as innovator and market leader in providing tools for Software Asset Management (SAM). KeyServer has evolved over more than 25 years since its initial release into K2 : an elegant, award winning, unified tool set for both Hardware and Software Asset Management designed for today’s complex physical, virtual, and cross-platform computing environments. K2, KeyAuditor & KeyServer, has become a critical component of license compliance and software cost reduction efforts in educational enterprises worldwide. Sassafras enjoys broad support from software publishers, including many technical partners that rely exclusively on K2-KeyServer technology. LabStats works with universities, school districts, businesses, and governments, providing software solutions for tracking computer and application usage. Our products are the preferred solution among IT professionals and are used by the top universities all over the world. A service desk for IT and any other department, that is as usable as it is cutting-edge. Uniting employees around the world, Samanage is built to empower you to provide exceptional services in more personal and proactive ways. Software2 is the home of AppsAnywhere, the world’s only dedicated university app store, used and loved by students, colleges and universities across the globe: Any app, any device, anywhere, anytime. wepa offers a cloud print solution that eliminates the need for servers on your campus and fits easily into a student’s daily life and technology habits. Want to reach a decision-maker? Come to SIGUCCS, where you will meet both current and future leaders in higher education. The conference is attended by technologists, managers, directors, CIOs, and Vice Presidents with an average of sixteen years of experience from a wide variety of colleges and universities. 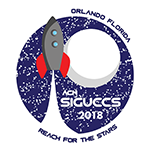 SIGUCCS is unique in its diversity of attendees (help desk personnel to CIOs), topics (technical sessions to career advancement), nationally-renowned speakers, and having a schedule that facilitates networking with peers and exhibitors. SIGUCCS also fosters personal connections between exhibitors and attendees. Whether it’s the opportunity for an in-depth discussion outside of sessions or over a meal, you get far more than a name, title and business card. Importantly, at an average of 250 attendees, SIGUCCS is large enough for exhibitors to make a number of contacts, yet small enough such that each of those connections is personal and deep. 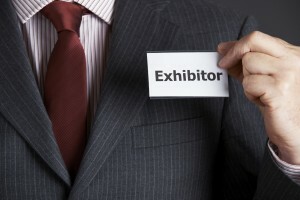 Exhibitors are placed right in the major thoroughfares of the conference space- we do not have a separate exhibit hall. This is the same space where we hold our breaks and many informal conversations occur between attendees. Exhibitors are in direct contact and have a captive audience. Attendees will often engage in discussions over the course of the entire conference.